Thanks to Martin Roberts for providing this postcard which features various scenes from Blackpool, including the Butlins hotel. 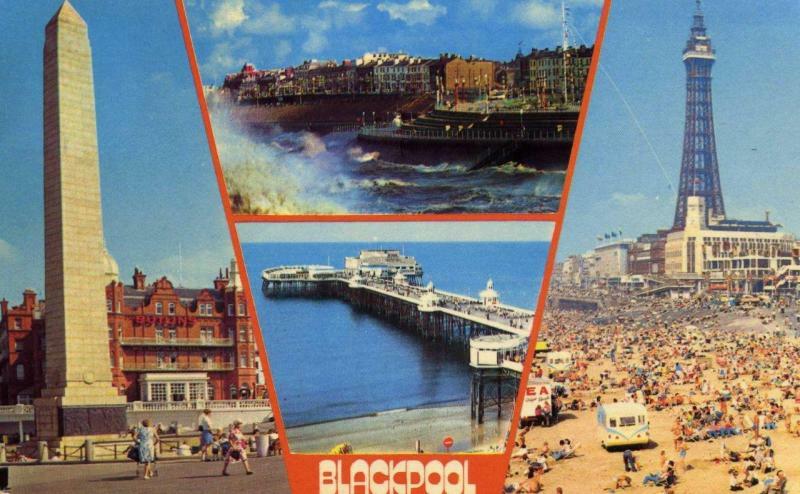 The postcard was sent in 1981 with the message, "Having a great time, weather is fantastic. Hotel is nice and food is good. Haven't done much 'cept sunbathe."